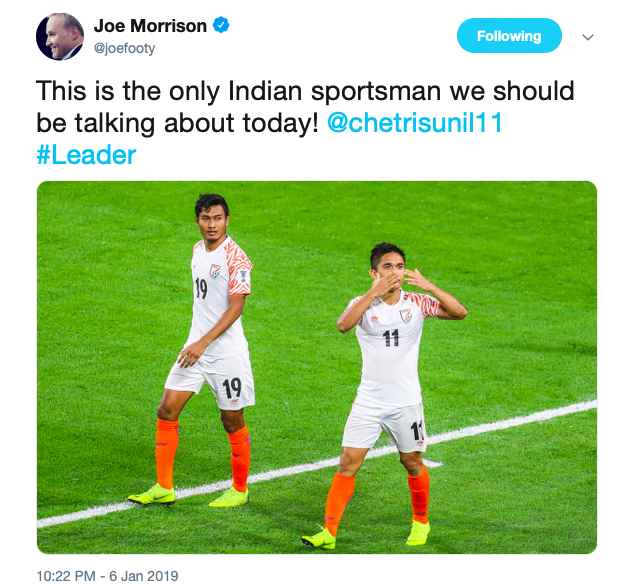 The talismanic Indian striker is receiving praises from Asian football fraternity. 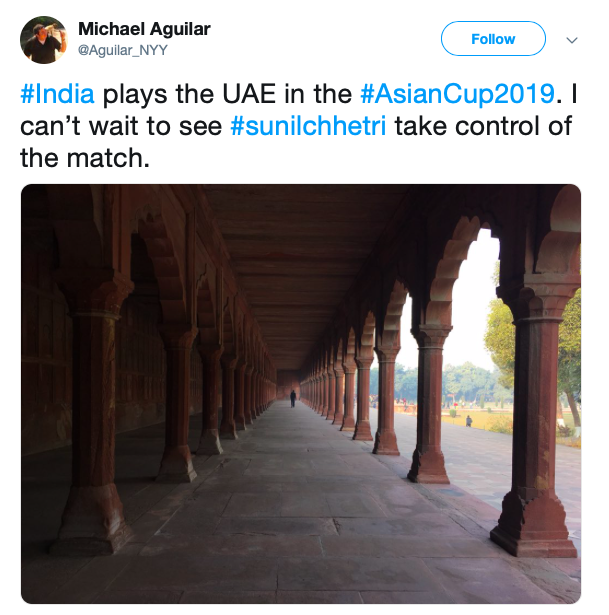 Abu Dhabi: United Arab Emirates manage to clinch a 2-0 win against India and the mixed room was filled with buoyant players. 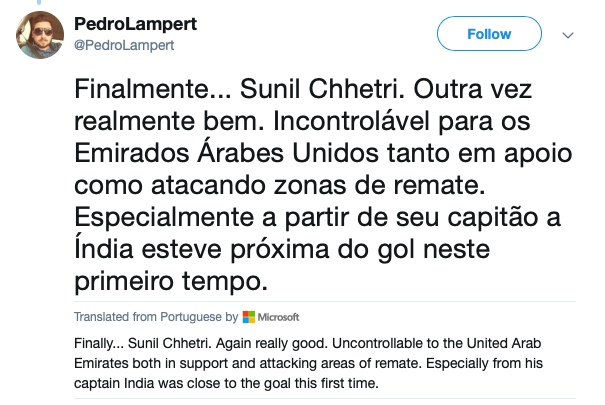 There was Gurpreet as well, dejected obviously, and was speaking to Indian journalists. But there was something unusual going on around him. A UAE support staff member was seen congratulating an Indian staff member for India's great performance. And at one side were crowed in their traditional Arabian outfit, the UAE reporters, eager to talk to the captain of the Indian side, Sunil Chhetri. 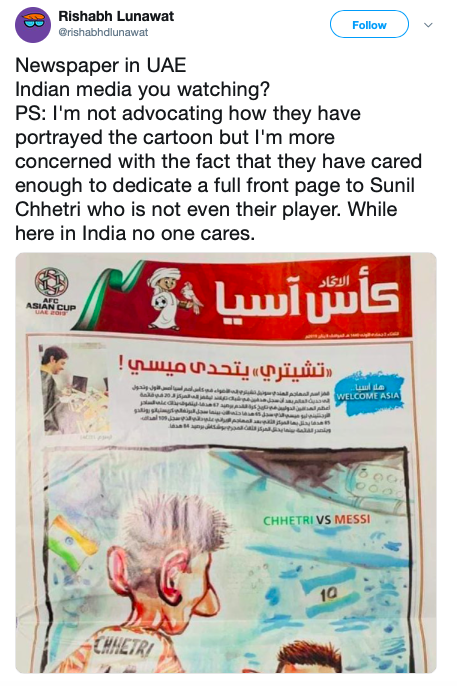 They were more eager to interview the legendary Indian striker than the UAE players who were there too, which speaks volumes about the match, which was a lot different than the scoreline suggested. 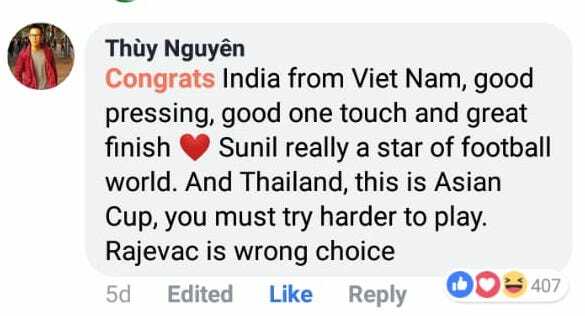 Sunil Chhetri has always been the apple of eyes of Indian football fans and is considered one of the greatest ever to grace Indian football, but at the tournament which is just next to the world cup and is metaphorically a world cup for many Asian nations, the talismanic striker has already left a deep impression in the minds of the rival fans. 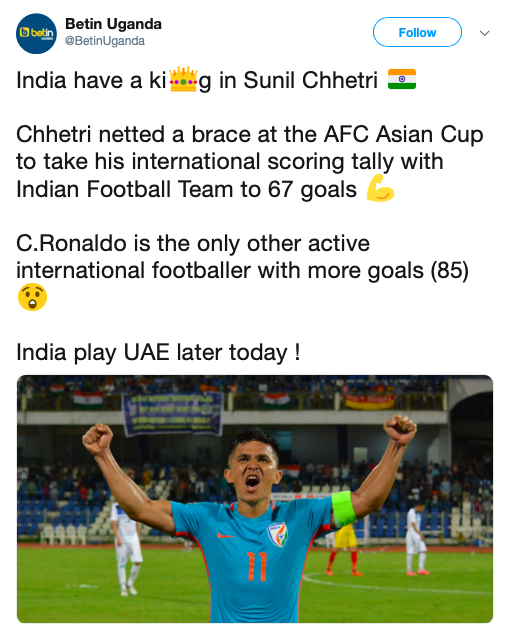 Chhetri's stellar performances against Thailand and UAE has already brought him into the center of attraction of many. And with India likely to make it into the knock out stages, fans might be in for more of his brilliances. 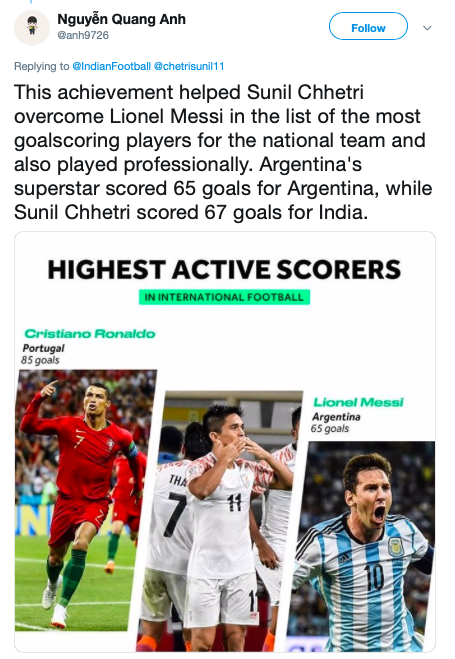 At 34, when many footballers start to become a pale shadow of their best yesteryears, Chhetri is a bright spot, shining brighter than ever, and glossing the Indian football!